Tiny American actress Mildred Shay (1911-2005), busy in the '30s both on the screen and between the sheets (wink! ), peaked in the '30s, winding up in poverty, forgotten and without any of the things that once made her so fabulous. (She's pictured above with Nelson Eddy (1901-1967). Or did she still have the most important thing — her engaging persona? Shay was Joan Crawford's (1905-1977) maid in The Women (1939), played uncredited roles in such films like The Philadelphia Story (1940) and Forever Amber (1947), left movies, and returned in fare like The Great Gatsby (1974), Superman III (1983), and her final film, Parting Shots (1998). 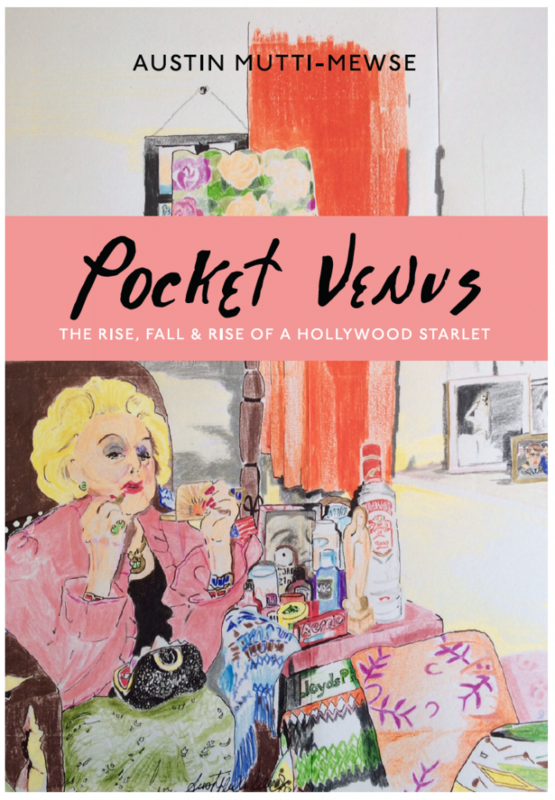 Her story will be told in Pocket Venus: The Rise, Fall & Rise of a Hollywood Starlet, a new book by Austin Mutti-Mewse coming from Zuleika Books in October 2018. Mutti-Mewse — who along with his brother Howard — is known as a longtime confidante of the stars of Hollywood's Golden Age, having befriended scores of them in the mail from the time they were starstruck teens. The brothers co-authored I Used to Be in Pictures: An Untold Story of Hollywood (2014), documenting their unique friendships with Hollywood royalty. Her cat-food-ridden, Wonderbra-littered, crumbling flat in Pimlico receives few visitors except the postmen, who scurry away: her reputation at the Belgravia Post Office is notorious. Men held captive, plied with vodka martinis (made the way Gary Cooper showed her) and endless stories; escape is nearly impossible. The author calls her life "marred by tragedy," noting she was often "at the mercy of men: producers, playboys, three husbands, and countless lovers," framing it within the #MeToo movement. I can't wait to read his take on her colorful life!